An Aberdeenshire father-of-four will brave the dangers of the Atlantic Ocean as he aims to become the first person to complete a row across the water in a boat he made himself. Peter Rhodes, a 35-year-old rope access manager at Sparrows group, has already started construction of the craft in his Alford garage ahead of his gruelling 2,000 mile nautical challenge in a year’s time. 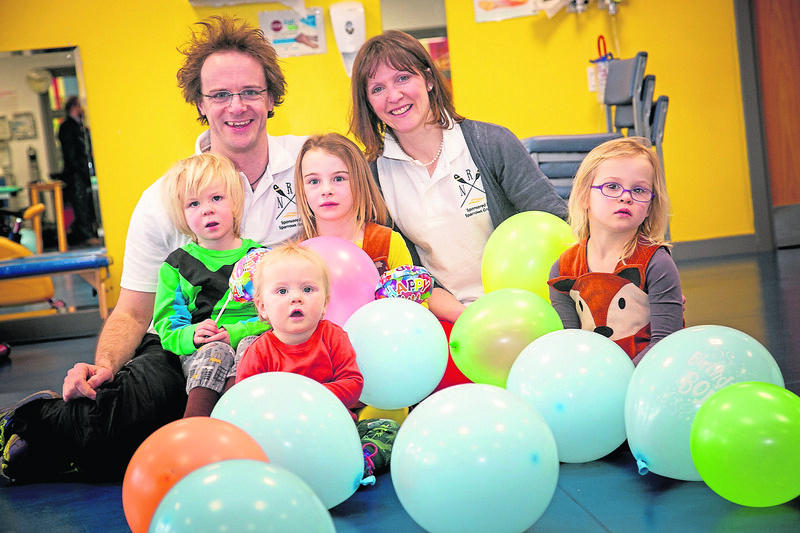 He aims to raise £50,000 for Royal Aberdeen Children’s Hospital after its staff played a major role in saving his newborn son’s life last year. Cedar, who turned one this week, was just nine-days-old when he fell ill and had to receive life-saving care to stabilise his condition in Aberdeen before being flown to Glasgow for emergency heart surgery. The experience has inspired Mr Rhodes to raise money through the Grampian Health Board Endowment Fund, which will be used to provide additional amenities for the children’s hospital’s patients and staff, as well as research and equipment. And as soon as Sparrows heard about his plans, they came on board as principal sponsor. This has has allowed Mr Rhodes to begin building the six-metre long fibreglass vessel in his family garage. Once at the final stages, he plans to complete the build at the Sparrows facility in Bridge of Don before taking it out for sea trails. His trans-Atlantic journey is currently scheduled to start in May 2020 and is expected to take around 50 days – beginning at St Johns in Canada and rowing solo all the way to Oban. He said: “More people have summited Mount Everest than rowed the Atlantic, so this challenge provides that opportunity. “I’m extremely grateful for the support from my family and Sparrows. “With four children under the age of six, my wife Kate is more understanding than most. “I’m using a rowing machine to build my strength and endurance as I plan to complete the expedition in around 50 days.